Volkswagen on Tuesday announced an Apple Watch app that will offer remote control of many car functions, while Dropbox released a significant update to its iOS client and promised that users will soon be able to create Office documents from within the app. 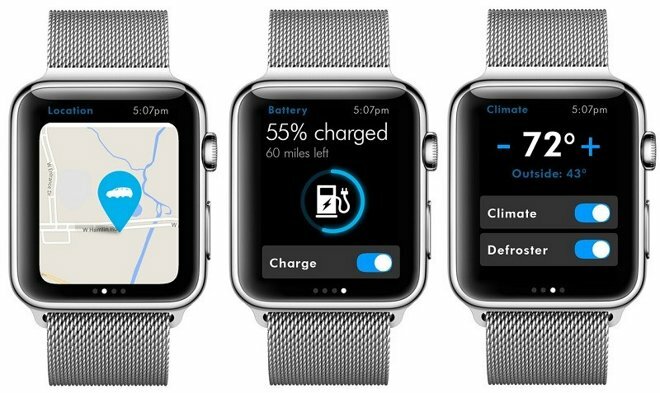 Watch support will be an extension of the auto maker's Car-Net app for the iPhone. Owners of supported vehicles, starting with 2014 models, will be able to control windows and the sunroof, honk the horn and flash lights, or receive speed and geofence notifications when someone else is driving. Other features will be specific to different cars. Only owners of 2016 cars, for example, will be able to lock and unlock doors. Gas and diesel drivers will be able to check fuel level, but e-Golf drivers will not only be able to check charge but get an estimated driving range, turn charging on and off, and adjust climate control. Volkswagen hasn't said when the Watch app will be available. Current Car-Net-compatible vehicles include "select trims" of 2014 Beetle, CC, Eos, Jetta, Passat, and Tiguan models, and every variant of the Golf, Golf GTI, Golf R, Golf SportWagen, or e-Golf from 2015 onwards. The app's v3.9 update, available today, lets users comment directly on a file, and open up commentary to others via a Twitter-like mention system. Dropbox has also added a Recents tab, and a 1Password login extension for creating or loading a 1Password vault. By the end of May, the app will be updated to allow creating Microsoft Word, Excel, and PowerPoint documents. Users will still have to switch to those apps, but extensions will make the process automatic. 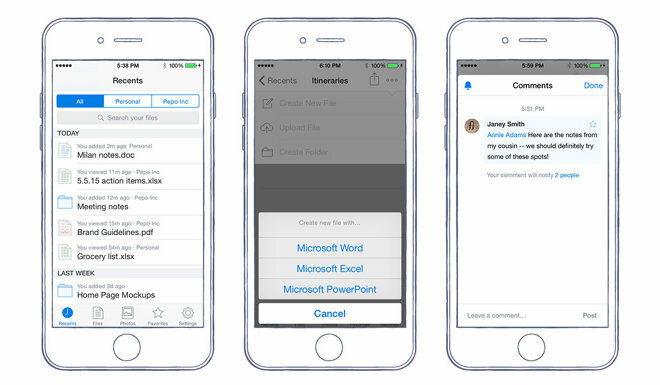 Dropbox is a free download for any device with iOS 7.0 or later.